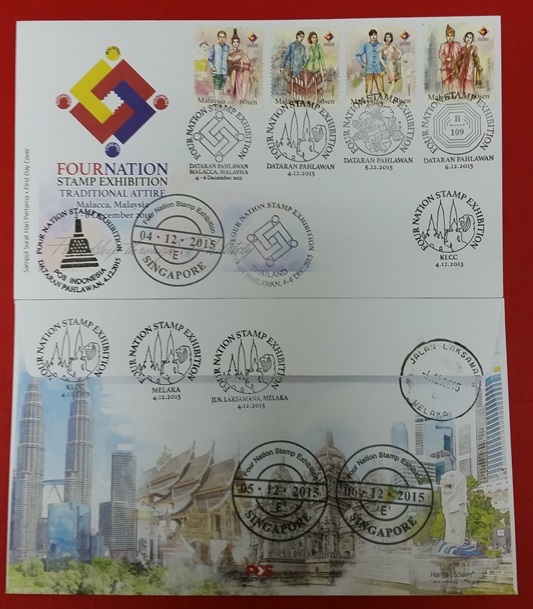 Well, I am one day late in writing this post. It was quite an event with lots of cancellation and trying to figure out what to cancel! 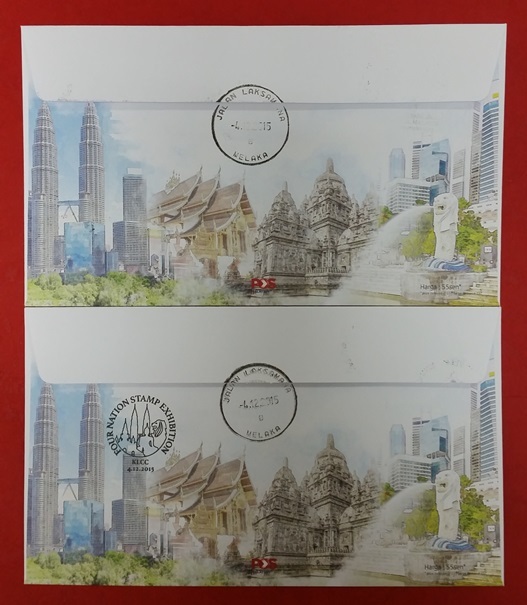 There you have it, 10 cancellations into one envelope. 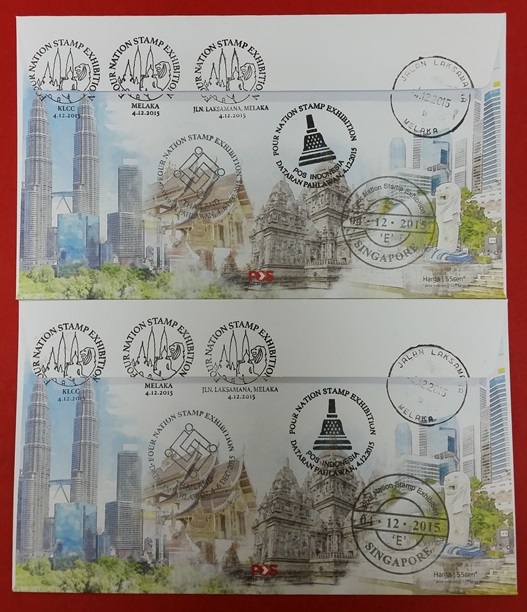 So here are my covers in 2 versions – full (with all stamps) and light (only Malaysia plus others’ cancellations). 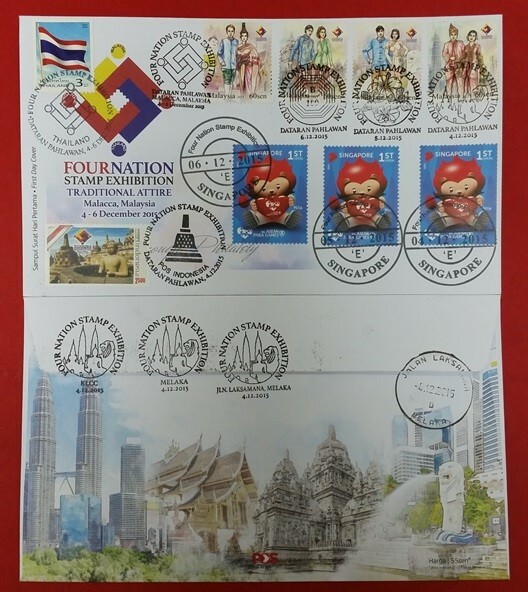 Here is the First Day Cover but I could not resist all the non-first day cancellations and supplementary cancellations at the back. 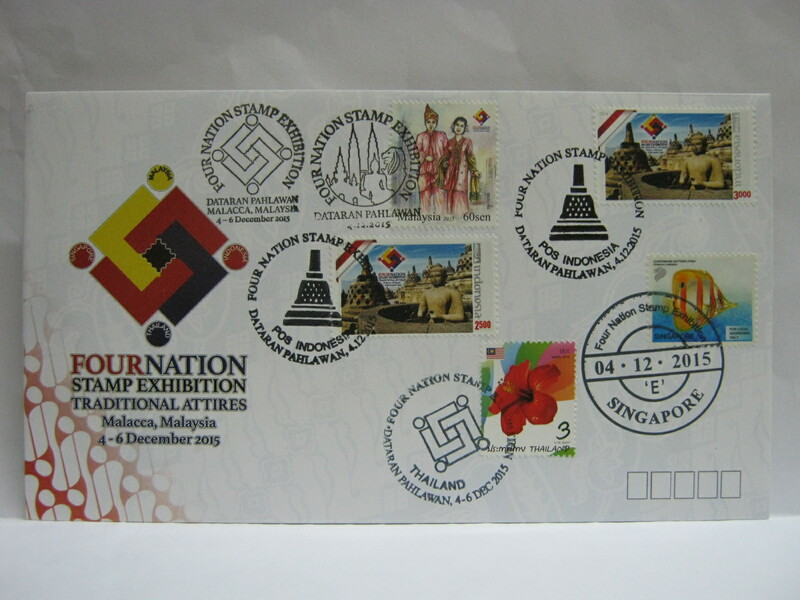 The same goes for the exhibition cover. 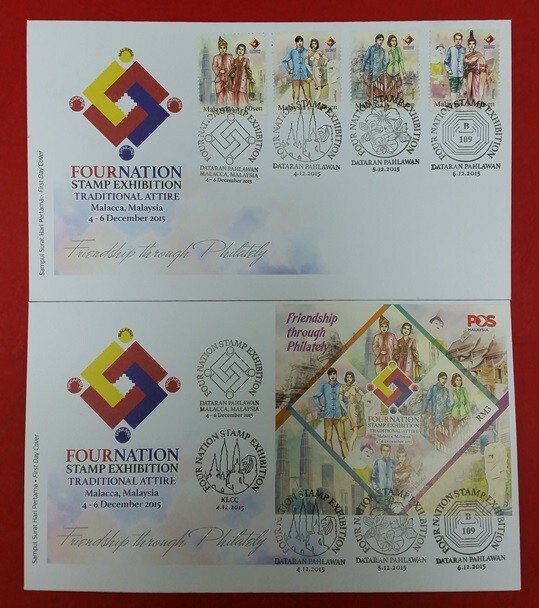 Indonesia First Day Cover in pair of Rp 2,500 and Rp 3,000. Searching for more covers? Try this link. Here is an interesting news for SODA members. 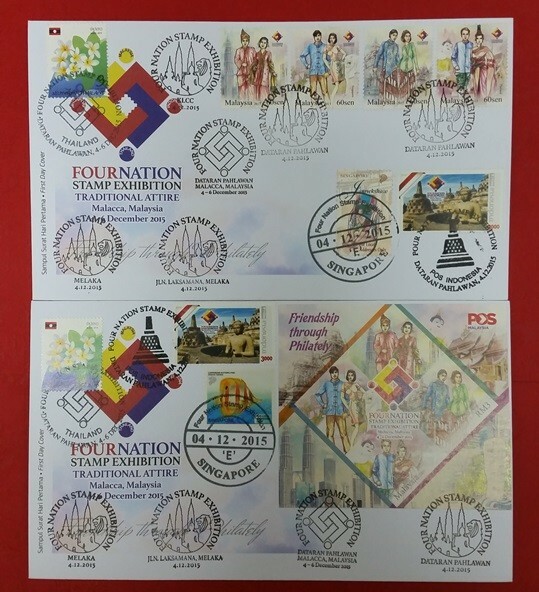 You will receive the MS on FDC as well as a special setenant strip of 4 Traditional Attire stamps on FDC! Stay tuned!